Where do you begin to look for a recent, authoritative article on the diag- nosis or management of a particular malignancy? The few general oncology textbooks are generally out of date. Single papers in specialized journals are informative but seldom comprehensive; these are more often preliminary reports on a very limited number of patients. Certain general journals fre- quently publish good in-depth reviews of cancer topics, and published sym- posium lectures are often the best overviews available. Unfortunately, these reviews and supplements appear sporadically, and the reader can never be sure when a topic of special interest will be covered. Cancer Treatment and Research is a series of authoritative volumes which aim to meet this need. 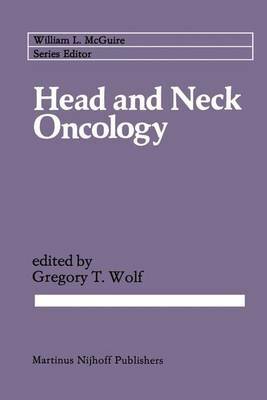 It is an attempt to establish a critical mass of oncology literature covering virtually all oncology topics, revised frequently to keep the coverage up to date, easily available on a single library shelf or by a single personal subscription. We have approached the problem in the following fashion. First, by di- viding the oncology literature into specific subdivisions such as lung cancer, genitourinary cancer, pediatric oncology, etc. Second, by asking eminent authorities in each of these areas to edit a volume on the specific topic on an annual or biannual basis. Each topic and tumor type is covered in a volume appearing frequently and predictably, discussing current diagnosis, staging, markers, all forms of treatment modalities, basic biology, and more.